Folders are available as premium feature to make it easier to organize your boards. 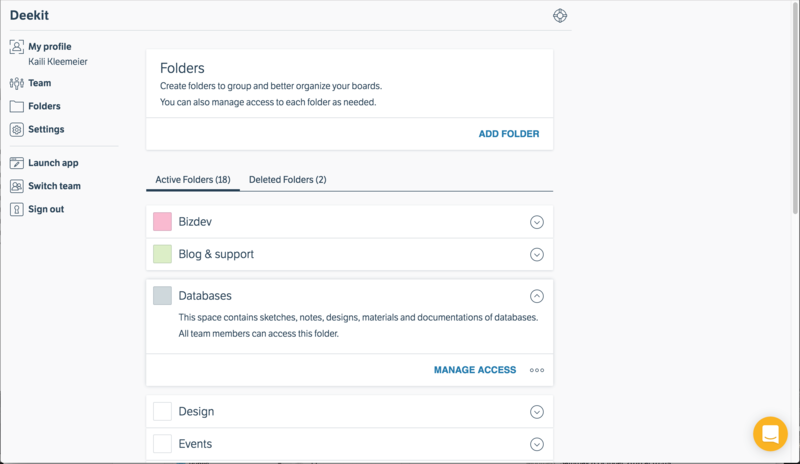 You can add and manage folders from the admin page. Give the folder a name. You can also add description and choose your folder color to make it easier to recognize. You can view and manage your folders and settings under Admin page. You can set different access rules and also delete folders there. Click on the folder you wish to edit.